Marin Soljacic Croatian physicist and inventor founder of WiTricity Corp. announces "GOODBY WIRES..."
» Home » Science » Marin Soljacic Croatian physicist and inventor founder of WiTricity Corp. announces "GOODBY WIRES..."
» Home » People » Marin Soljacic Croatian physicist and inventor founder of WiTricity Corp. announces "GOODBY WIRES..."
» Home » Education » Marin Soljacic Croatian physicist and inventor founder of WiTricity Corp. announces "GOODBY WIRES..."
» Home » Companies » Marin Soljacic Croatian physicist and inventor founder of WiTricity Corp. announces "GOODBY WIRES..."
» Home » Business » Marin Soljacic Croatian physicist and inventor founder of WiTricity Corp. announces "GOODBY WIRES..."
Dr. Marin Soljačić, distinguished Croatian scientist and inventor, full professor of physics at MIT, USA, founder of WiTricity Corp.
Giants like Apple, Toyota, Intel and the U.S Army are all interested in Soljačić’s technology. In October 2013, Intel and Foxconn Technology invested 25 million USD in Soljačić’s company, while last month Toyota announced that it has licensed the technology to build charging stations for electric cars. WiTricity plans to start selling the wireless chargers during the first half of the year. Cell phones, game controllers, laptop computers, mobile robots, even electric vehicles capable of re-charging themselves without ever being plugged in. Flat screen TV’s and digital picture frames that hang on the wall—without requiring a wire and plug for power. Industrial systems and medical devices made more reliable by eliminating trouble prone wiring and replaceable batteries. WiTricity Corp. is working to make this future a reality, developing wireless electricity technology that will operate safely and efficiently over distances ranging from centimeters to several meters—and will deliver power ranging from milliwatts to kilowatts. WiTricity Corp.’s vision is to develop a family of wireless electric power components that will enable OEM’s in a broad range of industries and applications to make their products truly “wireless.” Wireless electric power delivered over room scale distances, and with high efficiency. Wireless electric power that is safe for people and animals. Wireless electric power—imagine no more… it’s here! WiTricity is exclusive licensee of MIT patents for Wireless Energy Transfer. Our founder, MIT professor Marin Soljačić, was the leader of the MIT research team that developed WiTricity technology. This includes the MIT patents for highly resonant magnetic coupling as well as many energy transfer system improvements. Since the original discovery, WiTricity Corporation has filed for patents on dozens of its own innovations, including improvements to the technology, as well as a large number of products and applications that use the technology. The MIT and WiTricity patents are available for licensing for interested parties. The press releases issued by MIT in 2006 and 2007 regarding the development of efficient mid-range wireless power transfer by Prof. Marin Soljačić and his colleagues triggered tremendous interest in wireless electricity. Our brand name, WiTricity, has captured the interest and imagination of the media and general public as well as the scientific and engineering communities. Note that the WiTricity brand name was coined and registered by its inventors. It is a valuable trademark which WiTricity Corp. must diligently protect. A trademark is always an adjective, never a noun. When referring to WiTricity, please use it in the correct context: as the name of our corporation and as a brand name for technology and products developed and sold by WiTricity Corporation. Please do not use the name to refer to wireless electricity in a generic sense. As the exclusive licensee of this MIT intellectual property, WiTricity Corp. was founded by Prof. Soljačić and several colleagues from MIT. WiTricity Corp. received its initial venture capital funding in November of 2007 from Stata Ventures and Argonaut Private Equity. Stata Ventures is a technology investment firm managed by Ray Stata, the founder, Chairman, and former CEO of Analog Devices. WiTricity exhibited at the Consumer Electronics Show (CES) from January 7 - 10, 2014 in Las Vegas, Nevada. This short video tours the WiTricity booth, showing the demonstrations we had at the event. CAMBRIDGE, Mass. --- Imagine a future in which wireless power transfer is feasible: cell phones, household robots, mp3 players, laptop computers, and other portable electronics capable of charging themselves without ever being plugged in, freeing us from that final, ubiquitous power wire. Some of these devices might not even need their bulky batteries to operate. A team from MIT’s Department of Physics, Department of Electrical Engineering and Computer Science, and Institute for Soldier Nanotechnologies (ISN) has experimentally demonstrated an important step toward accomplishing this vision of the future. The team members are Andre Kurs, Aristeidis Karalis, Robert Moffatt, Prof. Peter Fisher, and Prof. John Joannopoulos (Francis Wright Davis Chair and Director of ISN), led by Prof. Marin Soljačić. Realizing their recent theoretical prediction, they were able to light a 60W light-bulb from a power source seven feet (more than 2 meters) away; there was no physical connection between the source and the appliance. The MIT team refers to their concept as “WiTricity” (as in Wireless Electricity). The work will be reported in the June 7 issue of Science Express, the advance online publication of the journal Science. The story starts one late night a few years ago, with Soljačić (pronounced Soul-ya-cheech), standing in his pajamas, staring at his cell-phone on the kitchen counter. “It was probably the sixth time that month that I was awakened by my cell-phone beeping to let me know that I had forgotten to charge it. It occurred to me that it would be so great if the thing took care of its own charging.” To make this possible, one would have to have a way to transmit power wirelessly, so Soljačić started thinking which physical phenomena could help make this wish a reality. Various methods of transmitting power wirelessly have been known for centuries. Perhaps the best known example is electromagnetic radiation, like radio waves. While such radiation is excellent for wireless transmission of information, it is not feasible to use it for power transmission. Since radiation spreads in all directions, a vast majority of power would end up being wasted into free space. One can envision using directed electromagnetic radiation, such as lasers, but this is not very practical and can be even dangerous. It requires an uninterrupted line of sight between the source and the device, as well as a sophisticated tracking mechanism when the device is mobile. In contrast, WiTricity is based on using coupled resonant objects. Two resonant objects of the same resonant frequency tend to exchange energy efficiently, while interacting weakly with extraneous off-resonant objects. A child on a swing is a good example of this. A swing is a type of mechanical resonance, so only when the child pumps her legs at the natural frequency of the swing is she able to impart substantial energy. Another example involves acoustic resonances: imagine a room with 100 identical wine glasses, each filled with wine up to a different level, so they all have different resonant frequencies. If an opera singer sings a sufficiently loud single note inside the room, a glass of the corresponding frequency might accumulate sufficient energy to even explode, while not influencing the other glasses. In any system of coupled resonators there often exists a so-called “strongly coupled” regime of operation. If one ensures to operate in that regime in a given system, the energy transfer can be very efficient. While these considerations are universal, applying to all kinds of resonances (e.g., acoustic, mechanical, electromagnetic, etc. ), the MIT team focused on one particular type: magnetically coupled resonators. The team explored a system of two electro-magnetic resonators coupled mostly through their magnetic fields; they were able to identify the strongly coupled regime in this system, even when the distance between them was a several times larger than the sizes of the resonant objects. This way, efficient power transfer was enabled. Magnetic coupling is particularly suitable for everyday applications because most common materials interact only very weakly with magnetic fields, so interactions with extraneous environmental objects are suppressed even further. “The fact that magnetic fields interact so weakly with biological organisms is also important for safety considerations,” Kurs points out. 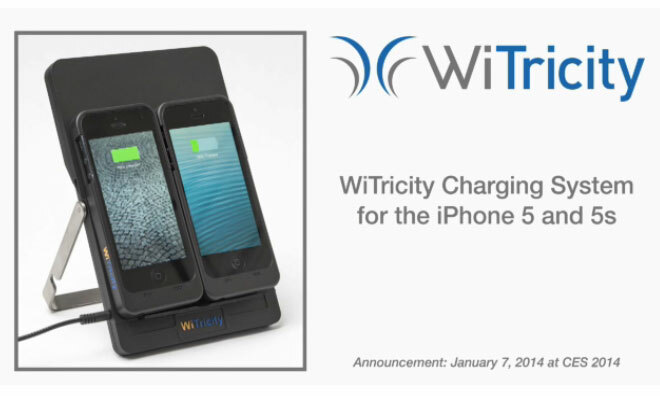 WATERTOWN, Mass.--(BUSINESS WIRE)--WiTricity, the industry pioneer in wireless power over distance, today introduced the world's first system for wireless charging of consumer devices such as the iPhone5 using the company’s patented highly resonant wireless power transfer technology. A quantum leap forward in convenience and ease of use for wireless charging of consumer electronics, the WiTricity system charges gadgets over distance and through a variety of materials – including wood, granite, plastic and glass. Initially designed for the iPhone 5/5s, the WiTricity charging system is available as a reference design for companies who want to apply the technology for charging other smartphones, tablets, or consumer electronic devices. The WiTricity charging system for the iPhone 5/5s includes a wireless charging hub and a charging sleeve that fits an iPhone 5 or 5s. Similar to other protective covers, the WiTricity sleeve quickly slides onto an iPhone 5/5s and is powered when in proximity to the WiTricity charging hub. Capable of charging two phones concurrently, the charging hub can be placed on top of a table as an upright or flat charging pad, or mounted underneath a table or desk for charging through the surface. By mounting the charging pad under a surface, smartphone users are freed from the tangle of charging cords and cluttered desktops. Positional Freedom: Simply place an iPhone 5/5s in its charging sleeve in proximity to the charging hub and the phone charges as quickly as plugging in. Unlike induction pads, there’s no need to position the iPhone exactly in a specific location on the charging hub. Multiple Device Charging: Using a single coil, the WiTricity system allows multiple devices to be charged simultaneously and effectively. With induction-based systems, multiple device charging on a single pad requires multiple coils, driving up the cost of the charging system. Installation Flexibility: Unlike induction mats or other chargers that require physical contact and placement on top of a table or other surface – or major modifications to the table or counter – the WiTricity charging hub can simply be affixed under a table while providing power to the phone through the tabletop. Any table, desk, or counter can be turned into a wireless charging “hotspot” without unsightly clutter or requiring drilling or cutting into the underside or through the surface. “Our team is thrilled to introduce the first wireless charger that works over distance,” said Eric Giler, CEO of WiTricity. “We’ve seen the transformative nature of our foundational highly resonant wireless power transfer technology in the automotive, medical and military fields, and now plan to change the game in consumer electronics. This is an incredibly exciting time for resonant wireless power, and we’re excited to be leading the charge to a wireless future." WiTricity’s charging system will be offered as a reference design and development system to mobile device manufacturers, charging accessory developers, and furniture designers to accelerate development of their own wireless charging products based on resonant wireless power. The system is architecturally compatible with next-generation wireless power standards being developed by the leading standards organizations, and offers the flexibility to be adapted to a wide variety of smartphones, tablets, and wearable computing devices. The WiTricity charging system, as well as other WiTricity wireless power innovations for the automotive and consumer markets, will be demonstrated in Las Vegas in booth 35863 in South Hall 4 at the 2014 International CES from January 7-10, 2014. WiTricity is the industry leader in wireless electricity delivered over distance and holds the foundational patents for Highly Resonant Wireless Power Transfer technology. The company was founded in 2007 to commercialize an exciting new technology for wireless electricity invented by world-renowned physicists from the Massachusetts Institute of Technology (MIT). With a growing list of global clients in industries including consumer electronics, automotive, medical devices and defense, WiTricity has emerged as the leader for IP and expertise in highly resonant wireless power transfer. For more information, visit www.witricity.com. Follow WiTricity on Facebook, Twitter, LinkedIn and YouTube. 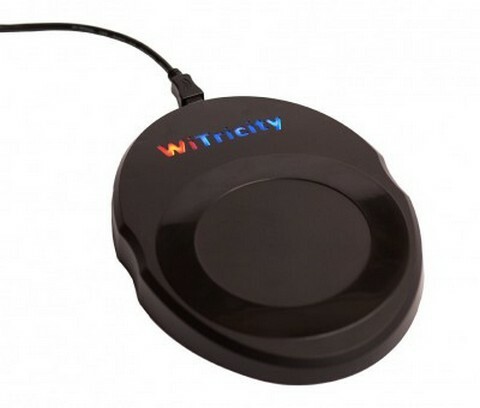 Instead of induction, WiTricity uses resonance to recharge devices wirelessly over several inches or even though objects. The company demonstrated this, along with a magnetic resonance repeater, and announced a wireless charger for iPhone 5 and 5s devices. Charging gadgets wirelessly today generally uses one of two technologies: Magnetic induction or magnetic resonance. Consumers likely don’t care which is used but resonance lets you charge a device over distance while induction alone doesn’t. And that’s appealing because you don’t have to precisely line up a phone or tablet on a charging pad to recharge the device. I’ve seen magnetic resonance solutions before but I hadn’t seen how a wireless power repeater works. It could allow you to place a wired charging pad under a nightstand, for example, and have a wireless repeater in the top drawer: Drop your gadgets anywhere on that nightstand and they’ll re-charge. So how do you get WiTricity products? Generally, you don’t; at least not directly, as the company works with partners that want to use the technology. However, at CES the company did introduce a wireless charging pad and case for the iPhone 5 and 5s. It’s really a reference design says Giler, however WiTricity does plan to sell the pad for around $99 in the coming months, with the case likely priced at $49. I’m hoping to test one for myself as the product gets closer to launch. I’d be remiss if I didn’t mention the wireless charging standards that are currently competing to be “the one.” Giler told me that WiTricity is generally agnostic when it comes to standards groups but to keep an eye out for A4WP, or the Alliance for Wireless Power, which changed its name to Rezence last month. Intel is an A4WP member and was involved in a $25 million Series E funding round for WiTricity back in October. Where Intel goes, Giler suggested, others will follow. Intel is also using WiTricity’s technology for a wireless charging bowl it demonstrated at CES: Just drop your wearables in the bowl and they start charging. Giler also told me that WiTricity’s new iPhone charging pad could be A4WP compliant with a firmware upgrade so the company is clearly prepared for meeting the standard if it chooses. Instead of fighting over standards though, WiTricity is looking at ways to quickly bring this technology to consumers. Giler showed me a AA battery for example that can recharge wirelessly while still in whatever device it’s powering. That could help move consumers off of disposable batteries which are far more expensive in the long run. Croatian physicist and electrical engineer Marin Soljačić’s years of hard work and toil and about to pay off.. 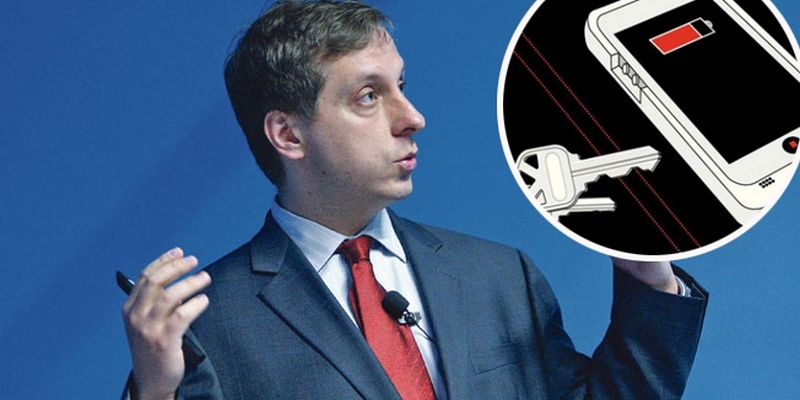 In 2007 the 39-year-old inventor, who is a professor at Massachusetts Institute of Technology (MIT) in the U.S, successfully developed the first efficient wireless non-radiative energy transfer, and now his wireless mobile phone charges are about to hit the market. Just a few days ago at the CES in Las Vegas, at the world’s largest consumer electronics fair, Soljačić’s company WiTricity’s wireless charger invention for the iPhone 5 was presented. The charging device can recharge multiple iPhone 5 phones without the need for a charging location. Giants Apple, Toyota, Intel and the U.S Army are all interested in Soljačić’s technology. In October 2013, Intel and Foxconn Technology invested 25 million USD in Soljačić’s company, while last month Toyota announced that it has licensed the technology to build charging stations for electric cars. WiTricity plans to start selling the wireless chargers during the first half of the year. From Nikola Tesla to Marin Soljačić and WiTricity. where they completed their primary and secondary school education.